By now you've worked out that the Buzzer is the best vehicle in the game for a number of reasons. It's unpredictable nature to spawn in some places but not others isn't as unpredictable as you might think. In this post I'm going to list all the spawn locations for the Buzzer so you know which Fast Travel locations to aim for. Going back to basics for a minute, Fast Travel points are unlocked through some Campaign missions but mostly through capturing Outposts. Fast Travel saves you a tonne of time getting from one part of the map to another, but it only helps to a point. If you want to go hunting in the local area for animals, pick up some loot chests or liberate a Bell Tower or two then you ideally want the Buzzer for those. Fortresses are heavily guarded areas controlled by one of the crime lords: De Pleur, Yuma, Noore and Pagan Min. Something interesting about Fortresses is that they're a guaranteed spawn point for the Buzzer. Every single Fortress has a Buzzer within its grounds when you Fast Travel to that location. So thats definitely a major bonus of capturing a Fortress. There's another points worth stressing here. Fast Travel locations, e.g. Outposts, will not show their vehicle spawns until you actually Fast Travel to them. So you can't scout the map looking at each Outpost for a particular vehicle because it won't appear until you Fast Travel there. Ok, enough of the principles. Here are the spawn points for the Buzzer broken down by region of the map. One of the first Outposts that you'll capture in the game, this Buzzer location provides nice coverage of the South West corner of the map and sets you on the way to removing some of the fog which plagues your sight. At this stage of the game you'll also be after some upgrade materials for crafting so this Buzzer provides a good starting point for your hunting trips. One of the four Fortresses in the game, De Pleur's will probably be the first Fortress you conquer and certainly the first to be weakened in the Campaign. The Buzzer in this location provides convenient access to the South East corner of the map which includes rare animals such as Bears and the Honey Badger. There is also an ample supply of loot in this region. The Ghale Homestead is the permanent family home of the Ghale family. It has some unique upgrades which the player can buy. These include upgrades which generate plants and money but also a great upgrade which creates a permanent Buzzer location. However, with all the other spawn points listed in this guide there's no need to splash out 300,000 on this upgrade. 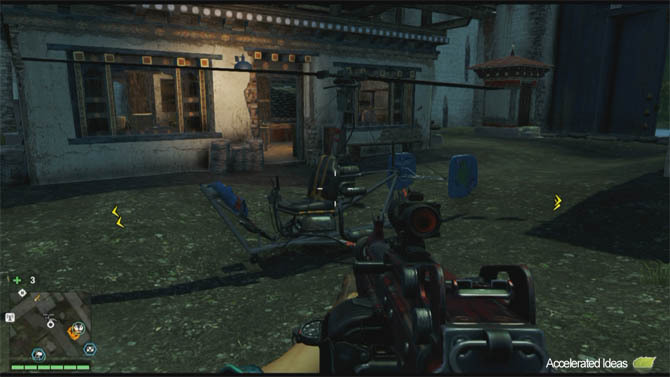 The second Fortress in Far Cry 4 is run by Noore and it's located in the middle Western side of the map, not far from the international airport. Although tucked away from the middle of the map, it's the only Buzzer location just West of the Bridge to the North. You'll find that this Buzzer is useful for liberating the regions Bell Towers and Outposts as well as sweeping up the local Loot. You know that saying about buses? Waiting for one and then two come along at once? Well Utkarsh fits that picture entirely. It's got two Buzzer's in the local area which is annoying but I suppose it's great for co-op. This Buzzer will help you conquer the North West area of the map which has a small selection of Outposts and Bell Towers, and the usual spread of Mani wheels. The third fortress is run by Yuma and is annoyingly located just North of the impassable mountain terrain which blocks direct access from the South to the North. The main route between the two is via the North Bridge. However, this Buzzer location will help you conquer most of the Northern area leading up to Pagan Mins Fortress. It's a rather dry and barren area compared to the South so the Buzzer is most welcome. 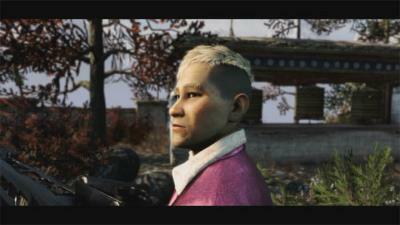 The fourth and final Fortress is run by Pagan Min, the main protagonist in Far Cry 4. It's in the far North East corner of the map. By this stage you've probably captured most of the Bell Towers and Outposts along the way, but this Buzzer still gives you a dependable ride for Loot trips.